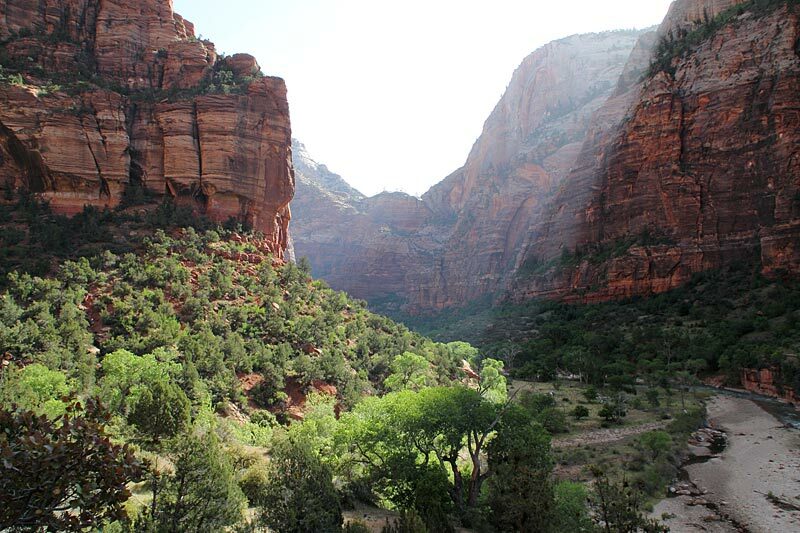 This mid-morning view of Zion Canyon was taken from the West Rim Trail, not far from the Grotto shuttle stop. 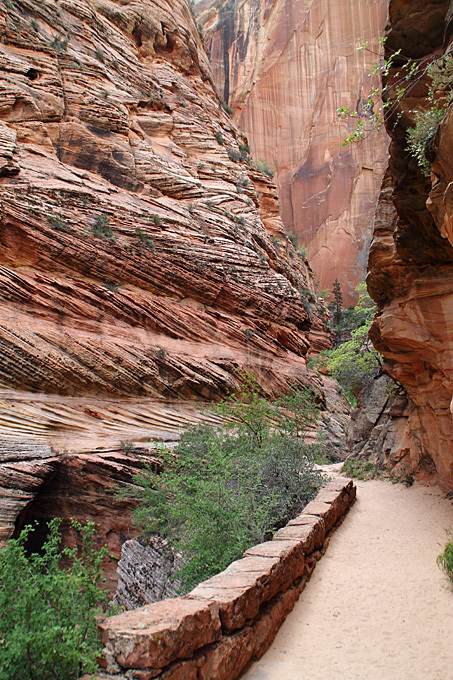 This is the start of the hike to Scout Lookout and Angel's Landing. 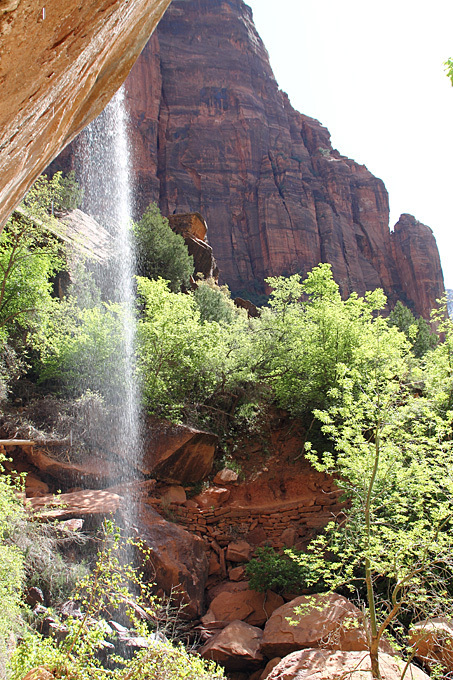 Lower Emerald Pool can be easily reached by walking 1/2 mile (one way) on a paved trail. 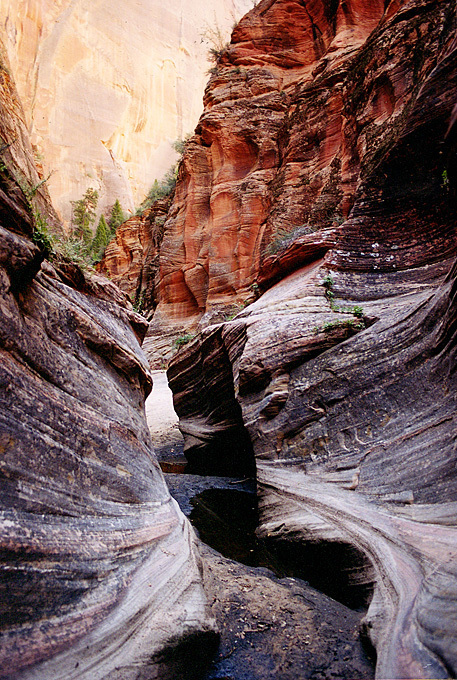 For several hours of hiking, combine this with the Middle and Upper Emerald Pools Trails, or with the Kayenta Trail. 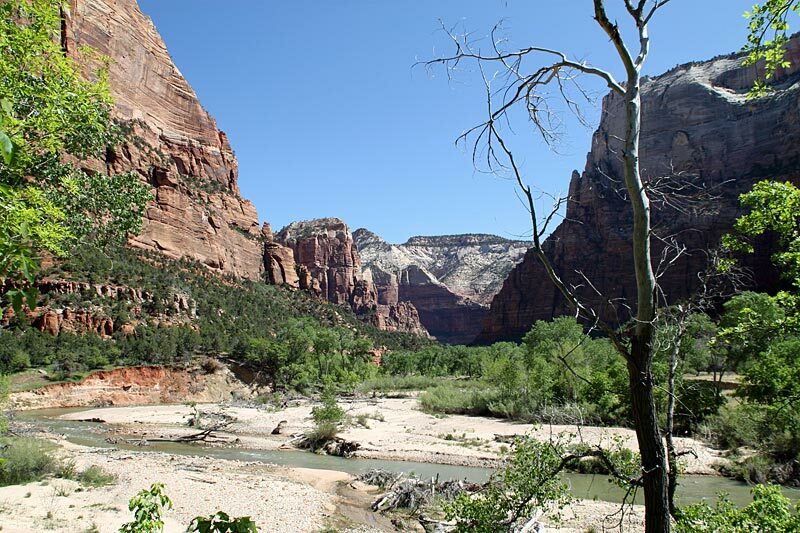 Zion Canyon and the Virgin River seen from the Lower Emerald Pool Trail. 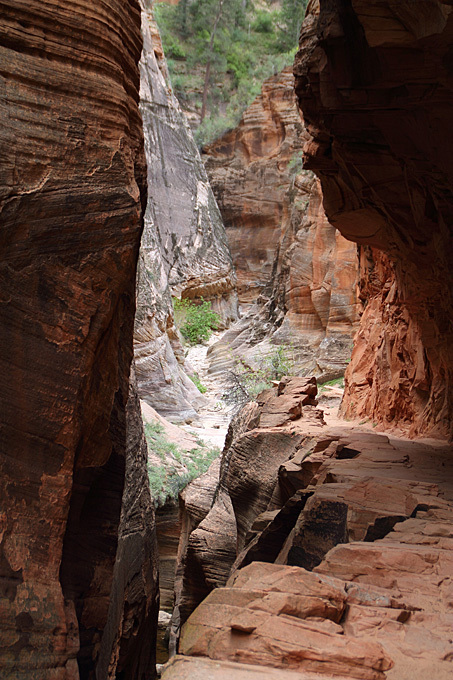 After over a mile of steady climbing from the Weeping Rock trailhead, the East Rim Trail turns a corner and levels off as it enters Echo Canyon. You can continue on this trail to reach Observation Point, but it's well worth it if you just go as far as Echo Canyon. 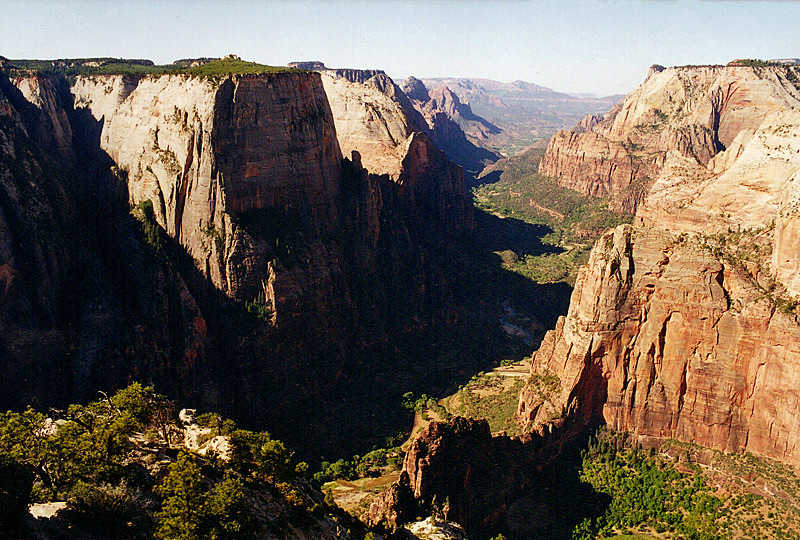 Observation Point is reached by a moderately strenuous dayhike using the East Rim Trail. 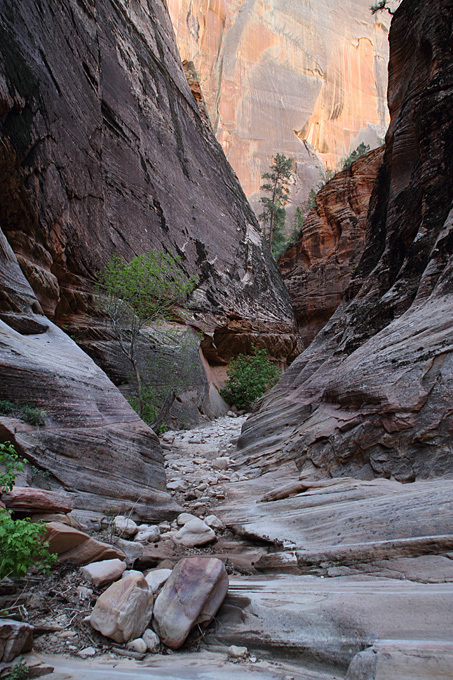 Start early to avoid crowds and see Zion Canyon dramatically lit up by the morning sun. 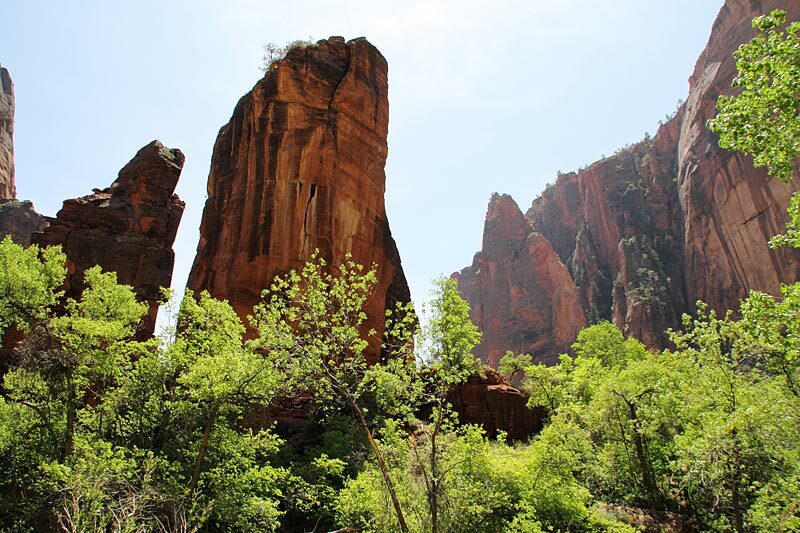 The Temple of Sinawava is at the last shuttle stop in Zion Canyon. The Riverside Walk is here, which is is also the lower entrance to The Narrows. 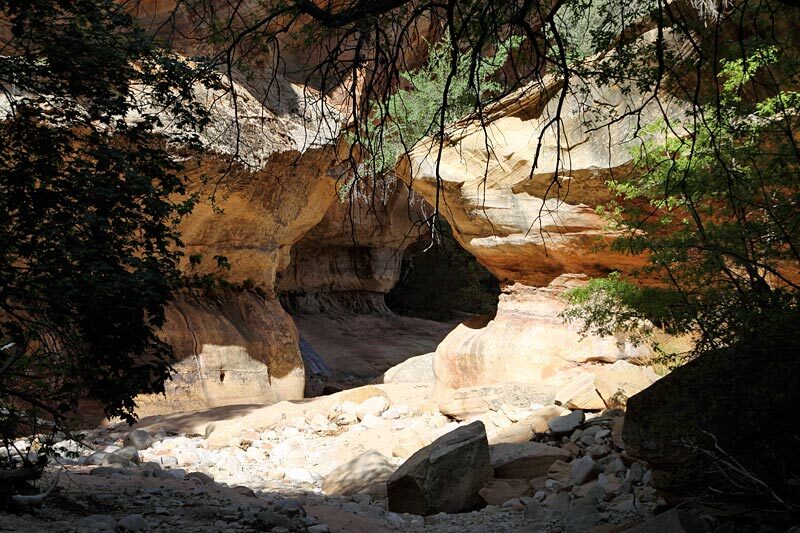 There aren't many marked trails in East Zion, but there are a number of places where you can walk through dry stream beds, such as this one in Clear Creek at a spot near the short tunnel. This panorama shot (stitched together from 4 shots) was taken from an overlook near the end of the Kolob Canyons scenic drive. 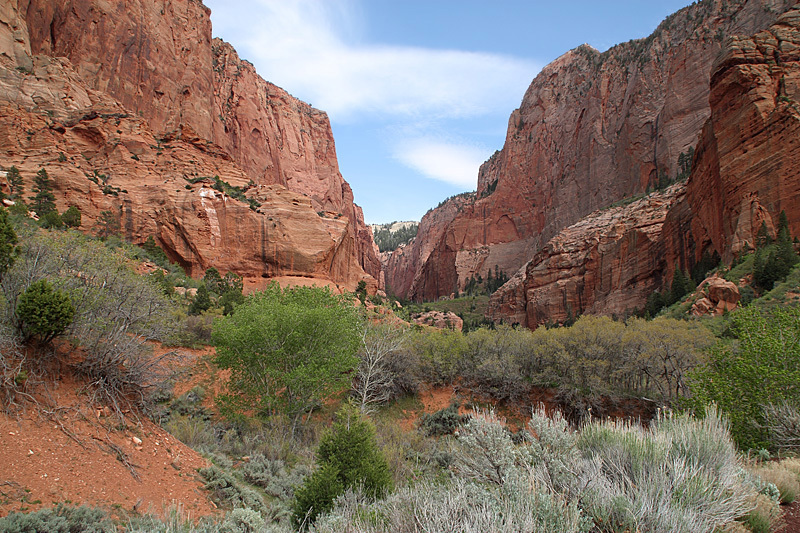 This is just one of the many Finger Canyons seen from the Kolob Canyons scenic drive. 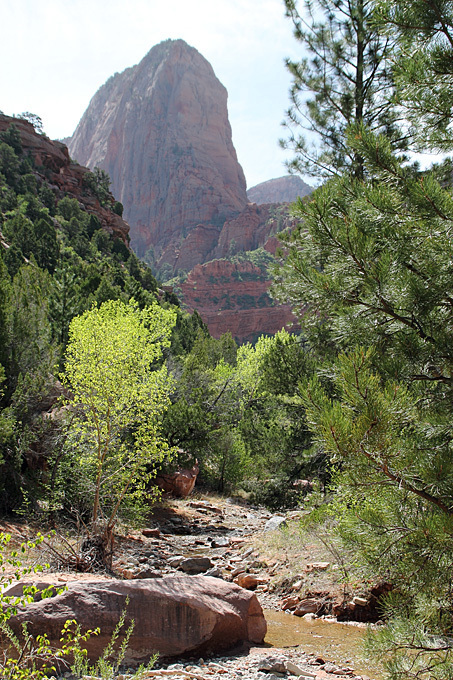 An easy day-hike in Kolob Canyons is taking the Taylor Creek Trail to Double Alcove Arch.